Today, I installed a new front drive sprocket on my Honda CBR125R. As you may already know from other articles on this blog, my Honda CBR125R has an Athena 166cc bore up kit installed. For this reason, compared to the original 125cc engine, the torque and power are higher. Recently I decided to register this motorcycle as 250cc, thus making it "legal" on public roads. Therefore, I can now ride my motorcycle in Japan highways. The limit is 100 km/h, and when riding at such speed, I noticed that the engine was revving very high even in 6th gear. 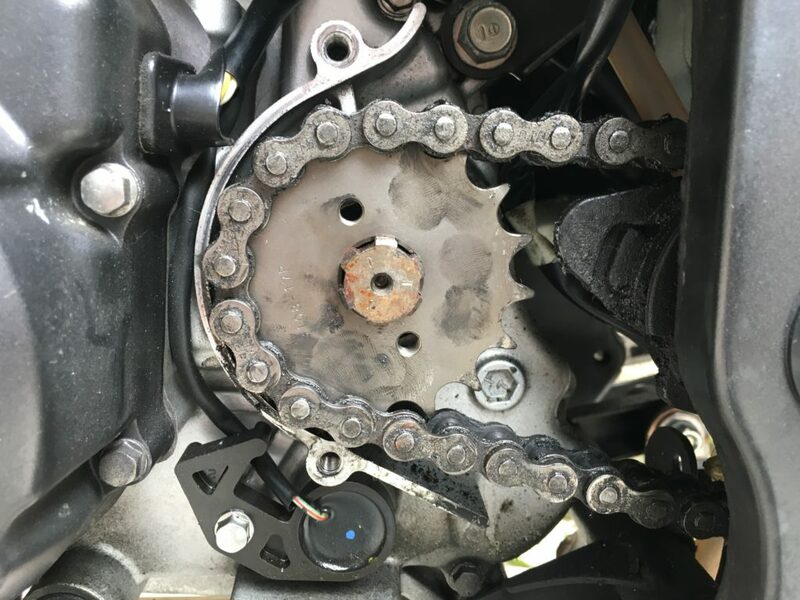 So, in order to reduce a bit the stress on the engine, on long rides in the highway, I decided to install an aftermarket XAM C3108-17T, which has 17 teeth, instead of the original sprocket, which has 15 teeth. The installation of the new sprocket requires some specific tools. The first step is to lift the rear tyre using a stand, and then loosen the screws which fix the position of the rear tyre. Then, move the rear tyre forward, to loosen the chain, so that the sprocket can be easily removed. 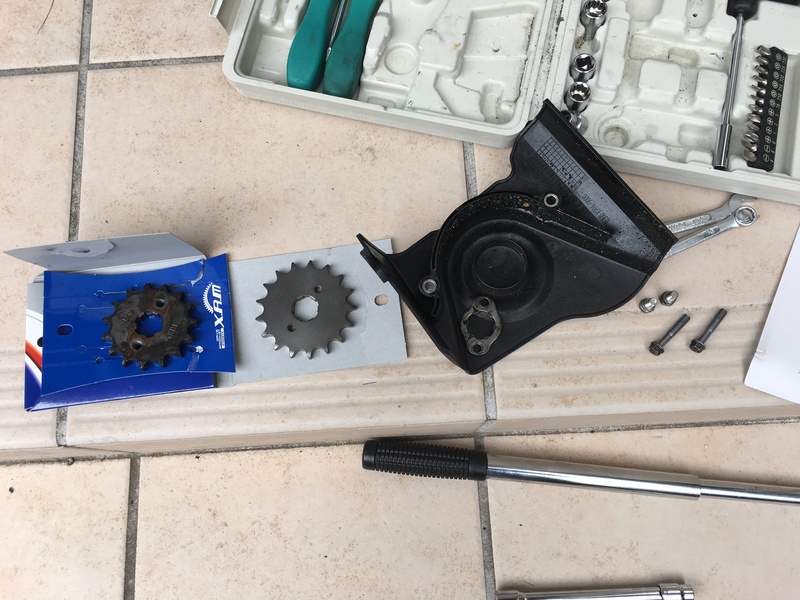 Then, remove the sprocket cover (2 screws), and remove the sprocket lock (2 screws), remove the old 15T sprocket and put the new 17T one. The sprocket in the following picture is the old one (15 teeth). I replaced it with the one below, which has 17 teeth. The radius is a little bit bigger than the original one, so I had to move the rear tyre a bit forward, in order to maintain the proper play of the chain (about 35mm). The following picture shows the difference in size between 15T (original) and 17T (XAM). As you can see, the radius of the 17T one is a big bigger (roughly 17/15 bigger than the old one). Finally, I fixed the sprocket screws and then regulate the position of the rear tyre so that the chain play was around 35mm. 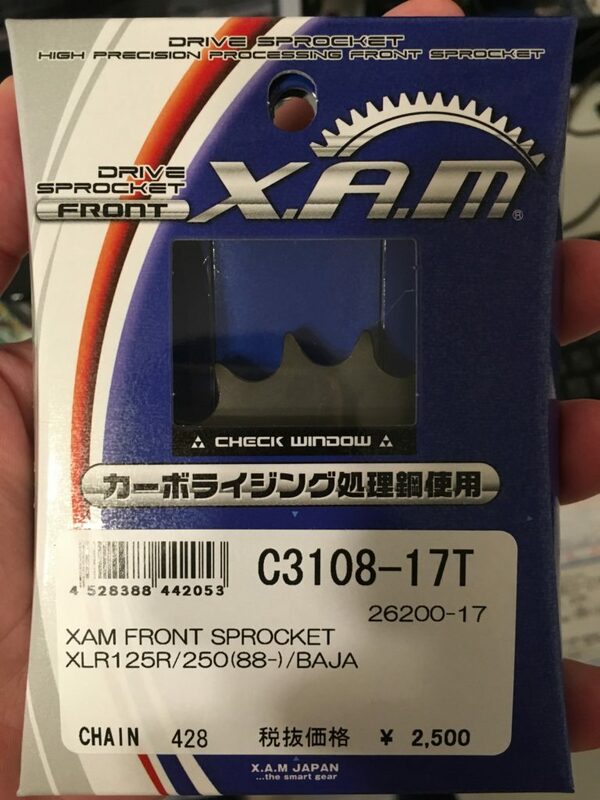 My first impression about this new sprocket, XAM C3108-17T, is very positive. 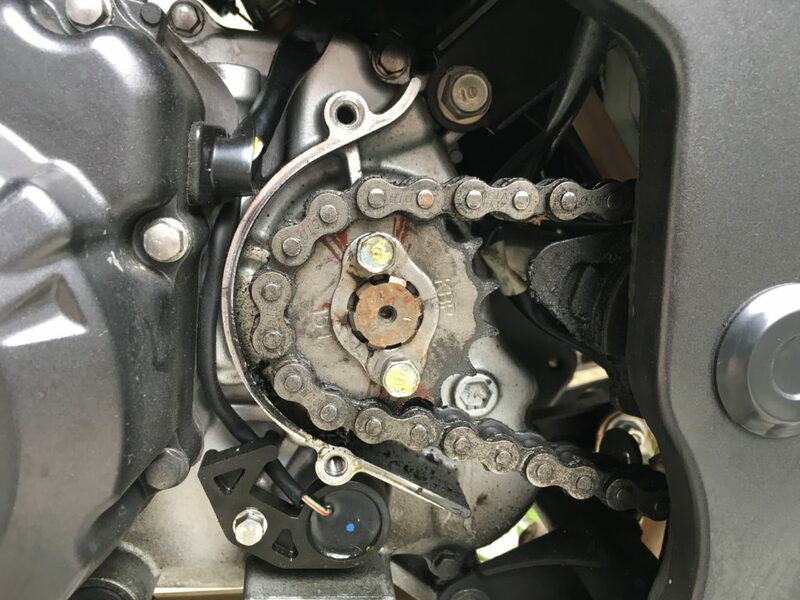 In fact, after changing to this new sprocket, when the motorcycle runs in 6th gear at engine speed of 7000rpm, the speed is 104km/h. This allows to avoid revving up the engine too much during long rides in the highway. Moreover, to be honest, I did not feel a big lack of torque in 1st gear: releasing the clutch and starting the motorcycle is very easy as it was before, moreover I can use the 1st gear for longer time than before, thus switching to 2nd gear at higher motorcycle speed. When I had the original 15T sprocket, I noticed that starting to run at the green light, 1st gear was "too short", but thanks to this new 17T sprocket, I can use the 1st gear up to a higher speed. 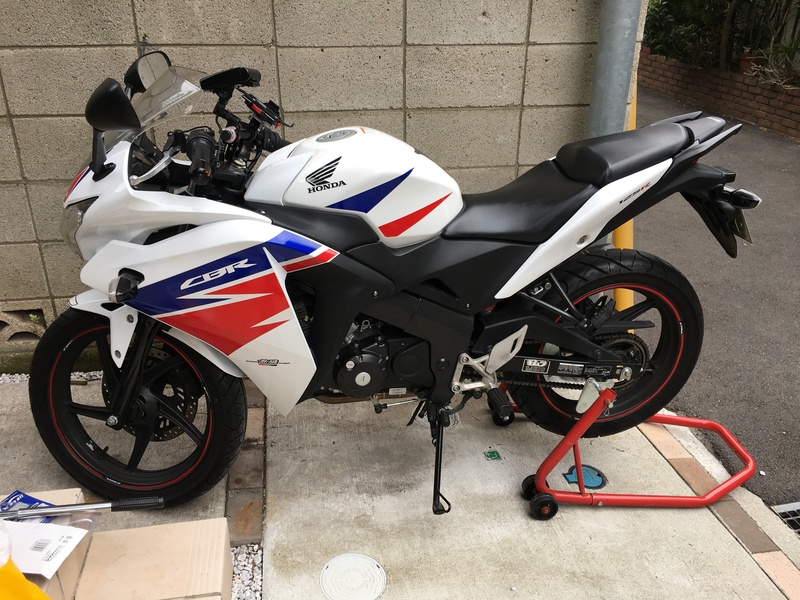 As a conclusion, I am not sure if this upgrade is useful on an original CBR125R (125cc engine) riding in the city, but in case you have a bore up kit (more torque, more power) and you want to run your motorcycle in the highway, I think that this upgrade is a "must". The price is just 15-20 Euro, not so expensive, so this upgrate is really cost-effective. I found your article on the Atena 166 bore kit installation, i just cant seem to find again so im commenting on this article in hopes that i can get a response! 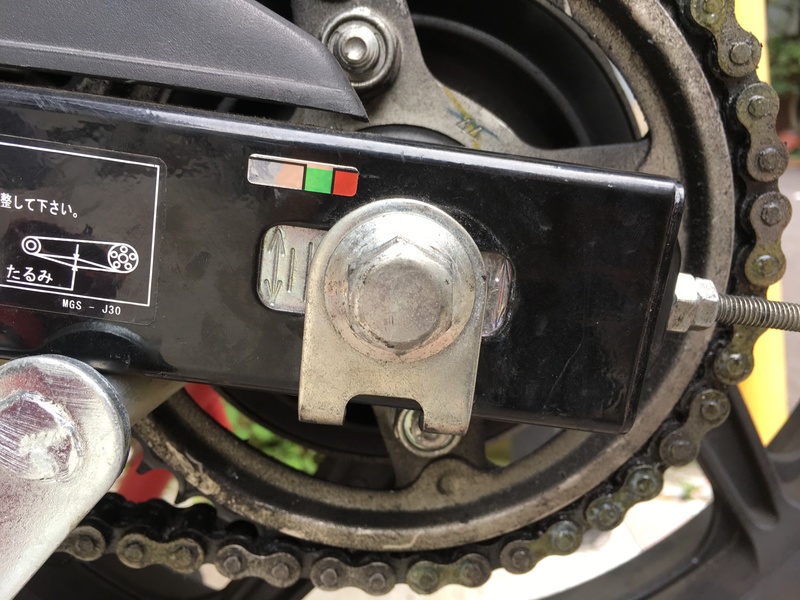 I recently purchased a 2007 CBR125R with the Atena kit installed, the seller had no previous history of the install as he also purchased it used. Is there any way to tell if they installed the proper ECU that came with the kit? Everything seems to run fine but i have herd bad things if the proper ECU wasnt installed. can you do a small review of how you installed your GPS to the triple clamp of the motorcyle. i wish to do the same.